First Friday Oktoberfest includes traditional German fare, great food and plenty of live music. Join the citizens of Enid in a celebration of the Czech, Austrian and German heritage of the area with live Polka music, German beer, cloggers, yodeling contests and authentic bratwurst. 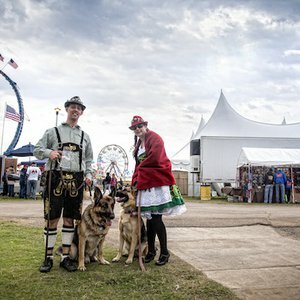 Come to Enid's Oktoberfest and enjoy browsing through food and craft booths that line the perimeter of the festival's German Biere Hall. In addition to the main events at this year's Oktoberfest, many downtown shops and boutiques will remain open to welcome visitors with special sales and Oktoberfest themes.